We took an already great truck cover and made it better! 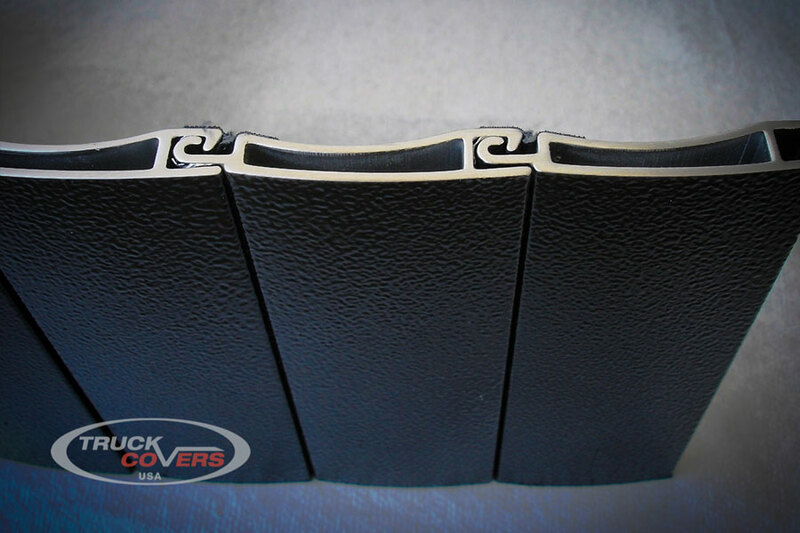 Our covers have been working for truck owners for over ten years. The American Roll Cover has been successful in all weather conditions, and has been used to protect every conceivable cargo. Your feedback has been invaluable during this process! Our innovative research and design team has been hard at work striving to make the best cover better. Redesigned for the discerning truck owner, driven by consumer feedback, made in the USA – the result is an evolution of perfection! Our roll cover is designed to install in 1 Hour or less. This will minimize down time in an effort to maximize production. Worry free security! The secure locking system ensures that the cargo you leave in the truck bed will be in the truck bed when you need it. Our designers wanted a cover that was strong enough to meet your needs. The result is a strong, yet lightweight, aluminum cover with double walled sections. Wait until you see our cover on your truck! The high quality, textured powder coating and low-profile lid gives our cover a ‘notch above the rest’ look. Save your efforts for the task at hand! The retractable cover is tension driven and expertly adjusted to allow for ease when opening and closing. Keep the cover clean and it will last – it’s as simple as that! We could not find the exact clamps we needed, so we designed and manufacture them ourselves! 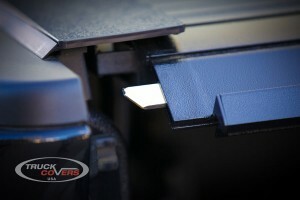 Our textured powder coating makes our cover more scratch resistant than any other. Today’s pickup trucks are stronger and more luxurious than they used to be. Our special finish is designed to add strength when you work and looks when you play. We wanted to show you how confident we are in our cover with our full 2-Year Warranty. You will not find this level of product confidence anywhere else. 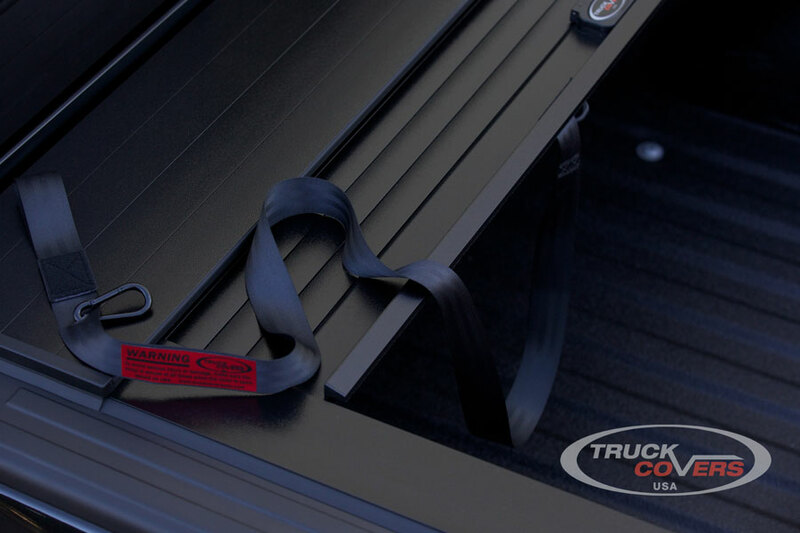 While no one can claim to make a 100% waterproof retractable tonneau cover – our extra wide side rail seals and 4-way drainage system improve the weather seal between our cover and your truck bed like none other. Like the cover sections, the lid is constructed of double sectioned, lightweight aluminum and finished with our textured powder coating. The result is a low-profile lid with unmatched strength and durability. Our canister is constructed of heavy-duty galvanized sheet metal. It might be the smallest on the market (8×8 inches) but it’s the strongest. 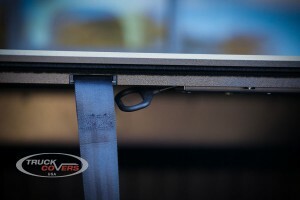 The sides of the canister and mounting brackets are a one-piece construction that reduces flex, increases strength and cuts down on installation time. We know your truck cover needs are not always as simple as opened or closed. 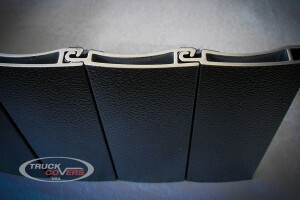 Our ingenious locking system provides an automatic stop and lock point every 12 inches! 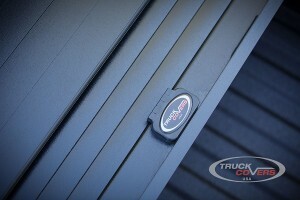 Our Keyless Entry Quick Release feature provides very convenient access to your load. This feature enables you to open your cover simply by releasing your tailgate and pulling on the custom-made molded plastic “T” handle. It gives you the keyless freedom you may demand from time to time. Customers asked – we responded! 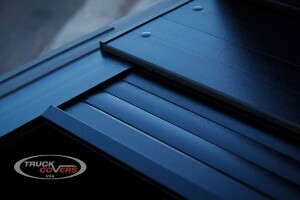 The American Roll Cover is the toughest, best-looking, and most versatile retractable aluminum cover available today!